How do you reconcile the act of firing a problematic employee with God’s call to servanthood, forgiveness, and grace? Christian bosses should be the epitome of grace in the workplace. They can’t fire employees. Or can they? We may be predisposed to believe that it’s sinful, unwise or a poor testimony for a Christian boss to fire a subordinate. But the scripture doesn’t support that idea. In fact, termination is both sanctioned and encouraged under certain circumstances in scripture. In trying to navigate through this difficult dilemma, there are three things that a leader should remember: the why, who and how. 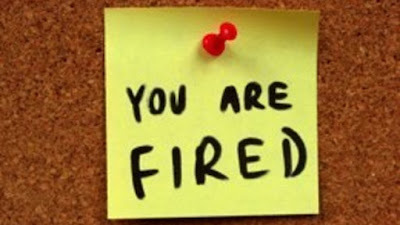 The boss has a duty not just to the employee being terminated but also to the other employees, the stakeholders and the company as a whole. If the boss doesn’t fire or if he delays the firing of the under-performing and/or difficult employee, he is, in essence, tolerating the wrongdoing and its biggest negative impact will be on the organization’s best people. Why do they have to put up with a difficult co-worker – his attitude and incompetence - every day? Why do they have to work to their fullest capacity when the opposite is accepted or tolerated by the leader? Why do they have to follow a leader who responds to a difficult situation with inaction? In a nutshell, the hearts of the people will be fully set to do evil if a problematic employee is not let go.